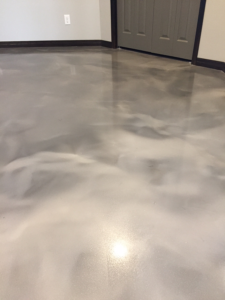 Thinking about resurfacing your existing concrete basement? Have you ever thought about installing heated concrete floors in your home? Reflector floors are a gorgeous seamless flooring solution that is durable and easy to maintain. When heated, concrete floors not only have beauty, but provide a cozy warmth under foot. Radiant heating is available in cable form, giving greater installation flexibility, or mat form, which helps with quick and easy installation under concrete slab floors. More and more people are moving to hard surface floors, especially in their basements. Discover more about how this flooring solution could be a terrific option for you! Give Hardscapes Inc. a call to arrange your free, no-obligation quote today.